This is looking West up the Young Valley. The Gillespie Pass Circuit starts here at the other side of the Makarora river. 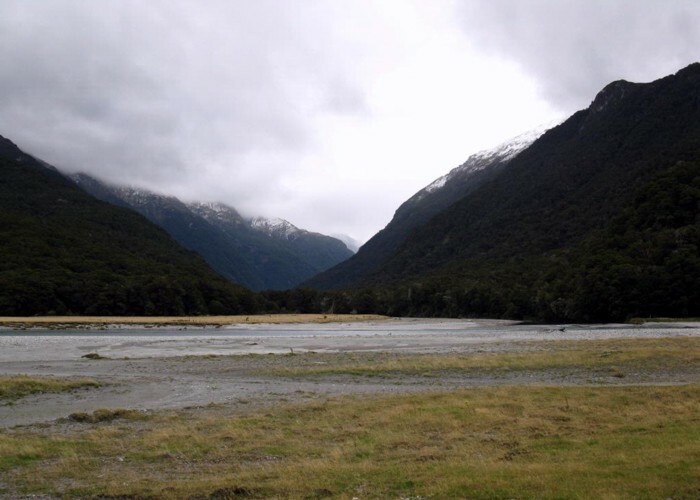 There is a good ford over the Makarora about 1km upriver from where this photo is taken. Added 6 September 2009 by YarmossYarmoss. No revisions.